PanARMENIAN.Net - Researchers at the Netherlands Institute for Neuroscience revealed that there are five types of insomnia. This finding was published on Monday January 7 by The Lancet Psychiatry. A commentary in the journal stated that the finding could be a new page in the history of insomnia, promoting discoveries on mechanisms and interventions, News Medical reports. One out of ten people suffer from chronic insomnia: it's the second-most prevalent and burdensome mental disorder. Findings on underlying brain mechanisms have been inconsistent. Treatment that is effective for some, gives no relief to others. Insomnia has remained an enigma. Thanks to volunteers of the internet-platform slaapregister.nl there is now hope for faster discoveries. Surprisingly, the five insomnia types did not differ at all on sleep complaints like difficulty falling asleep versus early morning awakening. Some earlier attempts to define subtypes focused on these sleep complaints, and may therefore have been unsuccessful. Blanken and colleagues identified subtypes by looking beyond sleep complaints. They assessed dozens of questionnaires on personality traits that are known to be rooted in brain structure and function. 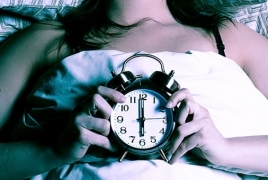 Insomnia subtypes could be discovered by looking at trait profiles. Type 1 scores high on many distressing traits such as neuroticism and feeling down or tense. Types 2 and 3 experienced less distress and were distinguished by their high versus low sensitivity to reward. Type 4 and 5 experienced even less distress and differed by the way their sleep responded to stressful life events. These induced severe and long-lasting insomnia in type 4, while the sleep of type 5 was unaffected by these events.